From beginner to advanced and mixed ability classes offered at a range of locations across Oxford. 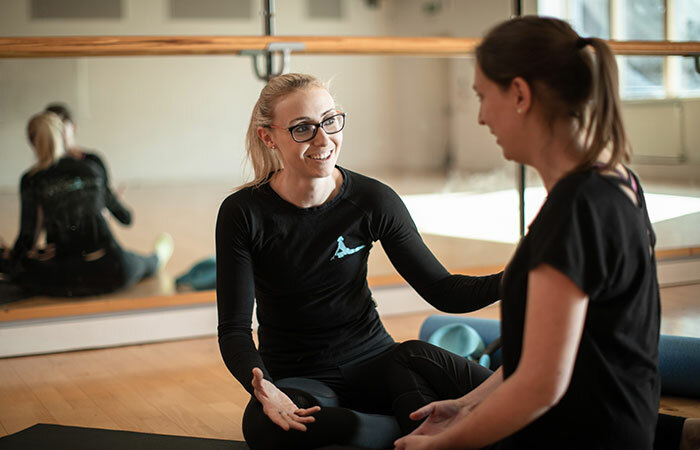 Our Physio-led pilates courses vary in legnth up to 8 weeks, choose an ability level below to learn more. Specifically tailored to the needs of those just starting Pilates, with a Pop-Up Pilates Beginners class there’s no experience required! These classes focus on finding and developing core muscles with basic strengthening exercises and stretching. During the programme, exercises gradually get more difficult as you get stronger and more flexible. New exercises are introduced and old exercises progressed at your own pace. These classes are recommended for beginners to Pilates and those more limited by back or neck problems, or anyone looking for a slower paced, relaxing class. Specifically tailored to individuals who have some previous Pilates experience and can find and control pelvis neutral. Strengthening exercises are given with optional progressions to allow each individual to work at their own pace and level. These classes are recommended for those with some Pilates experience who would like to progress at a steady pace. Our Mixed ability classes aim to cater for everyone. Classes use the Pilates principles in a variety of exercises for control, flexibility and strength. Pop-Up Pilates mixed ability classes provide exercise progressions and variations during the sessions, so those looking for more of a challenge, or indeed a simpler and less challenging experience, are able to progress at their own pace. These classes are suitable for everyone! It is recommended that beginners in these classes should have a pre-class assessment (more info below). These classes are suitable for those with back, neck or other joint problems. Post and antenatal clients may also be able to attend these classes but please chat with us prior to joining for more information. Pop-up Pilates in Oxford is a unique business that provides mat-work based Pilates just about anywhere. 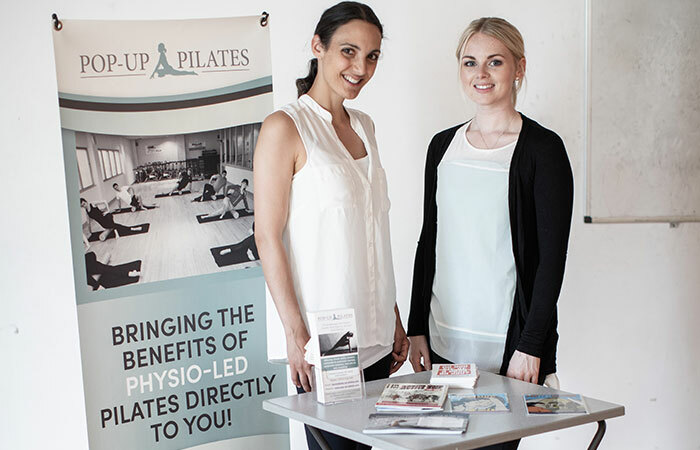 Workplaces, offices, schools, clubs, and even homes we pop-up in places all over Oxfordshire to bring the benefits of Pilates to individuals and groups.